Be sure to check out the 3D Virtual walk through tour! Welcome home to this immaculate 5 bed 2.5 bath cul-de-sac home in Morning Mist. Better than new! This home shows pride of ownership and is full of details you cant find for this price in Simpsonville. Located on one of the larger lots in the neighborhood, your family will find plenty of space to call home both inside and out. 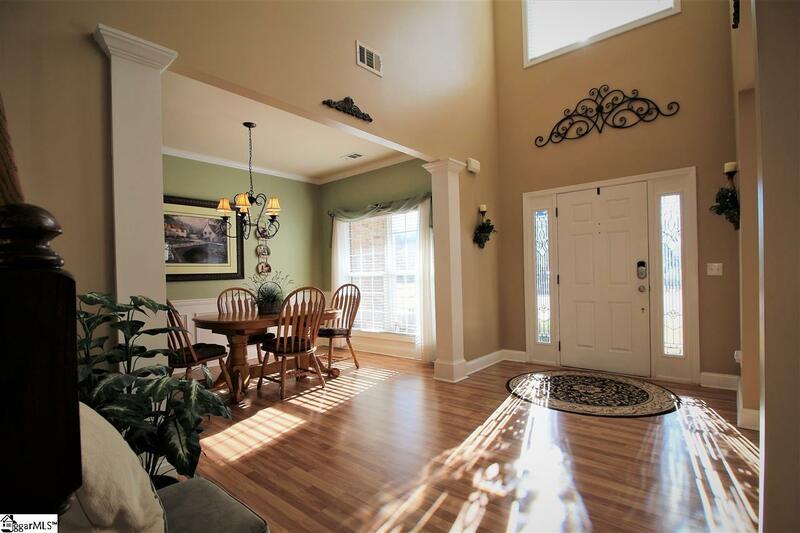 As you enter the home, youll appreciate the open and grand feeling of the two story foyer. Perfect for entertaining, the home has an open concept dining room across from a sitting room/formal living room currently used as a home office. Continue into the great room and enjoy the spacious open floor plan filled with natural light. The well-appointed kitchen with ceramic tile floors and backsplash is a dream for families who love to cook together. An extra-large island provides plenty of room for meal prep with the entire family. Stainless steel appliances, including a smooth-top range, built-in microwave, and French door refrigerator convey with the home. Dont miss the extra room on the main floor. With lovely french doors, it would be a perfect playroom, home office, hobby/craft room or even a bedroom with a large closet. No carpet on the entire first floor makes for easy cleaning! As you make your way upstairs, notice the attention to detail in the wainscoting, along the beautiful staircase. The large master suite is a perfect adult getaway. Double doors, tray ceiling, new carpet, and beautiful natural light make you want to stay and relax. 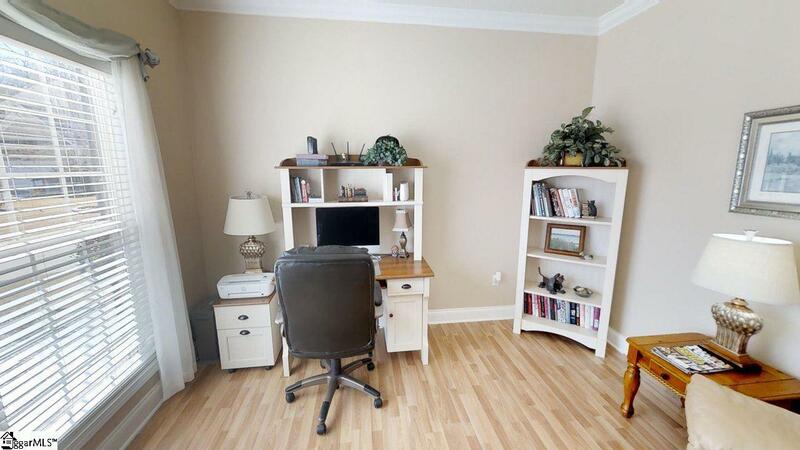 This is a very large room with plenty of space for a King bed, sitting area, and more! The master bath is complete with double vanities, a garden tub, and a separate shower. The walk-closet is spacious, providing plenty of storage space and attic access for even more storage! The laundry room is convenient to upstairs bedrooms, and comes complete with custom countertops and cabinetry. New front load stainless steel Electrolux washer/dryer with steam feature convey with home. 4 more bedrooms complete the 2nd level, each one of gracious size, with new carpet, spacious closets, and neutral paint colors. Outside, youll be amazed at all the amenities in this backyard! A 500 sq. ft. covered patio, complete with dual fans, will allow you to spend hours enjoying the outdoors and entertaining friends and family. The patio continues, uncovered, and opens up to a deck complete with built-in seating and fire-pit. Relax and enjoy the large backyard, completely fenced with a shadowbox privacy fence. This is truly a premium outdoor living area, perfect for family fun and entertaining. As if all this werent enough, the garage is one dreams are made of! This two car garage has completely finished and painted walls. The concrete pad has been epoxy painted, making for easy cleaning for those who like to keep a clean garage as these owners have. Floor to ceiling custom cabinetry take this garage to the next level. Seemingly infinite storage space gives you plenty of room to keep all your things out of sight and park 2 cars! The home comes equipped with Vivint Smart Security system including video/audio monitoring, video doorbell, electronic/keypad door entry, fire and glass break monitoring, as well as Nest Smart Thermostats. Homeowners have had a termite inspection done and a termite bond in place. Make your offer with confidence in the quality of this home! Dont miss out on this beauty. USDA Eligible! 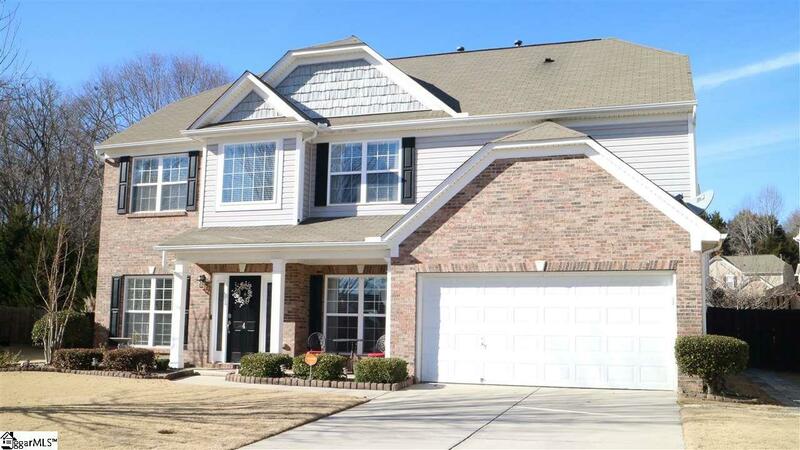 If youve been searching for a large home in a fantastic neighborhood, convenient to Simpsonville shopping and dining, but at a fantastic price, you can end your search at 4 Hushpah Court! Listing provided courtesy of Patrick Preacher of Guest Group, Llc.